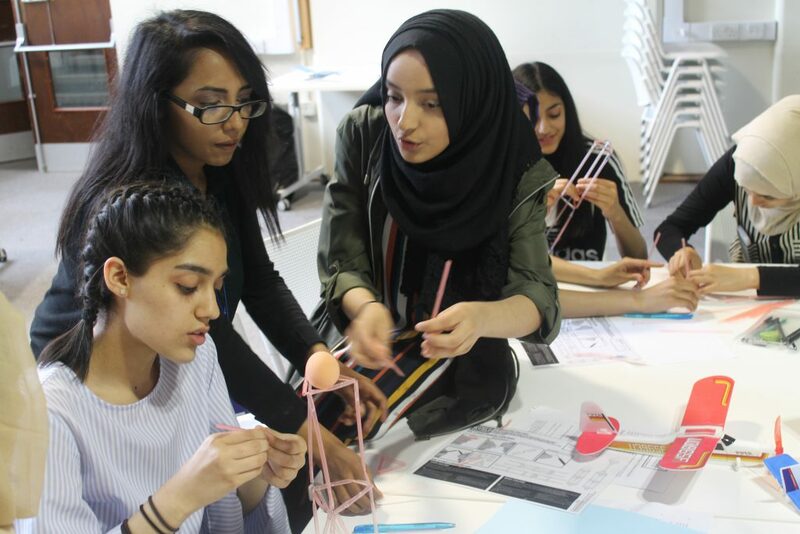 Year 10 girls from The Derby were encouraged to consider the wonders of engineering as a career as they visited Salford University for Dragon Fly Day. After a presentation informing them about civil and structural engineering they were quickly engaged in a variety of interactive activities. A warm up exercise using Geomags to build structures led on to three workshops. The first workshop involved working out equations to calculate the flight characteristics of a model plane. The students then made and tested the plane. Constructing a tower consisting of straws and paper clips designed to hold an egg was the next task. The final workshop involved making a solar powered car and racing it against the clock. The day ended with girls looking at how their personality was suited to various roles within engineering. This event helped girls consider options that prior to attending they were unaware of. It was an exciting way to convey how challenges can be met with successful engineering.